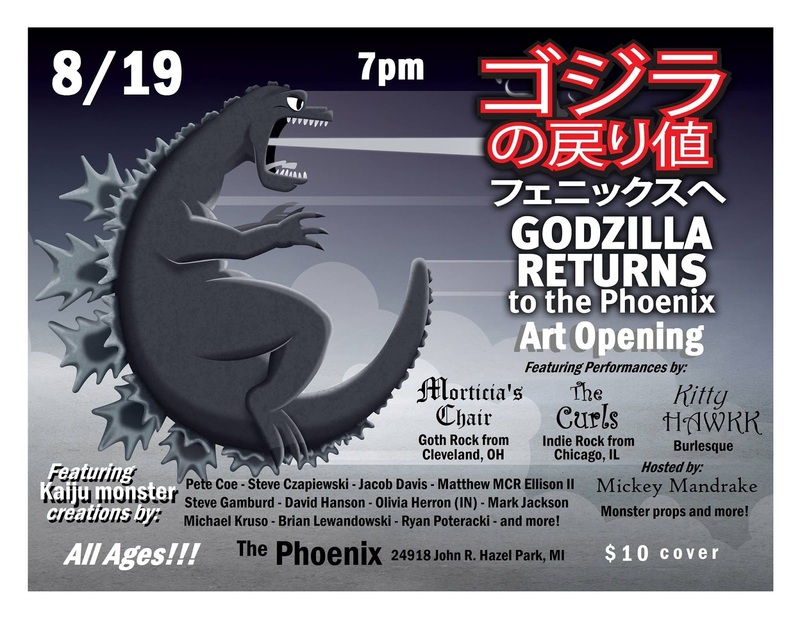 Two years ago, the Phoenix Cafe hosted "Godzilla Vs. 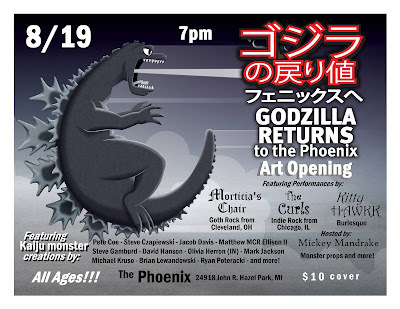 The Phoenix Art Show" and it was an outstanding exhibit of Godzilla art. This year, many new artists will have work on exhibit with an emphasis on Godzilla, Kaiju, and other monsters. Pete Coe, Steve Czapiewski, Jacob Davis, Matthew MCR Ellison II, Steve Gamburd, David Hanson, Olivia Herron (IN), Mark Jackson, Michael Kruso, Brian Lewandowski, Ryan Poteracki and more! 11:15 Variety showcase featuring Illumine (fire, dancer, flow artist), Kitty Hawkk (burlesque) and more tba!